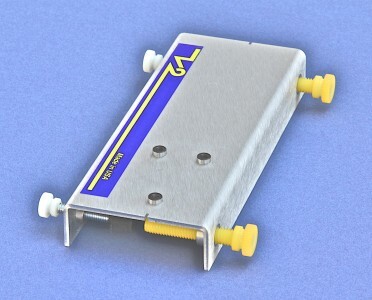 This universal drill jig fits on all roller skis and most snow skis. This universal drill jig fits on all roller skis and most snow skis. The straightforward design is simple to use and easily mounts to any ski. Simply align the center grooves with the center of the ski, then tighten the thumbscrews on either side, clamping it the ski for to accurately drill the binding holes. Works for both SNS and NNN binding systems.